The PED (Phase Equilibria Diagrams) Editor was created by Eric Boesch for use by the PED Data Center (NIST Standard Reference Database 31) to digitize various types of phase equilibria diagrams for addition to this series as graphics files. Binary, ternary, and schematic diagrams can be digitized, and data can be extracted. The PED Editor can also be used for general graph digitization and two-dimensional scientific drawing. A Getting Started User Manual can be downloaded here. For technical support: send email to phase2@nist.gov with "PED Editor" in the subject line. Java™ programming language, Java 8 or better (free download from java.com). Any operating system for which Java is available may work. Platforms that have been tested with the PED Editor include Windows™ 7, 8, and 10, and Mac OS X 10.11 through 10.13. Java must be installed in order to run this program. The Java Web Start version includes automatic updates when new versions are available. On Windows, the Java Web Start version also supports opening the program automatically when you click on PED Editor diagram files in the Windows Explorer. The Java Web Start version of the PED Editor does not run directly out of the browser, and your browser does not need to support the Java plugin. If you do not wish to enable Java Web Start, you can still download the JAR file, locate it using the file explorer program for your operating system, and double-click to open the file. Diagrams can be saved as high-quality scalable PDF or in GIF, PNG, or JPG format. Diagrams use logical coordinates which can be translated by constant or linear factors, such as between Celsuis, Fahrenheit, and Kelvin. Stretching the diagram does not affect logical coordinate values. Store coordinates with up to 15 digit precision. General scientific diagram support includes many axis labelling options, isotherms (labels superimposed on and tangent to a curve), a variety of line and fill styles, and color. The Unicode fonts include a variety of math and scientific symbols and data markers, and labels can be marked up with basic HTML. 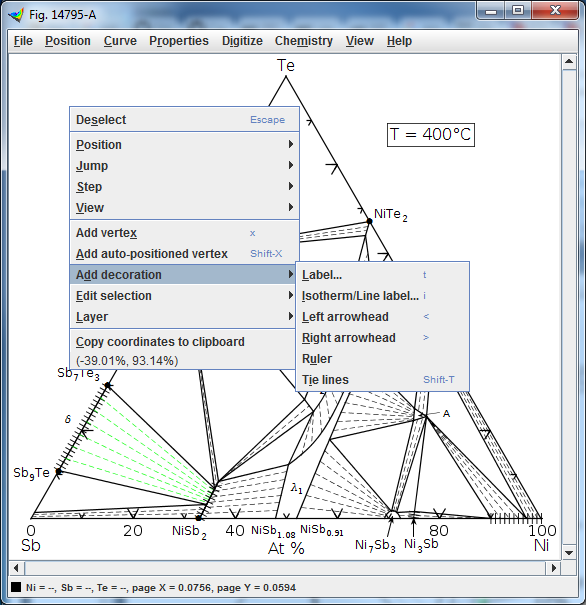 Chemical phase diagram support includes tie lines, ternary diagrams, conversion between chemical formulas and diagram locations, conversion between weight and mole fraction, and automatic subscripting of chemical formulas. Math support includes locating curve intersections and nearest curves. Display curve slope, arc length, area enclosed by a curve, and integral under a curve. Digitization and diagram cleanup support includes automatic correction of distorted or misaligned scanned diagrams and a second window to show the corresponding position in the original image. 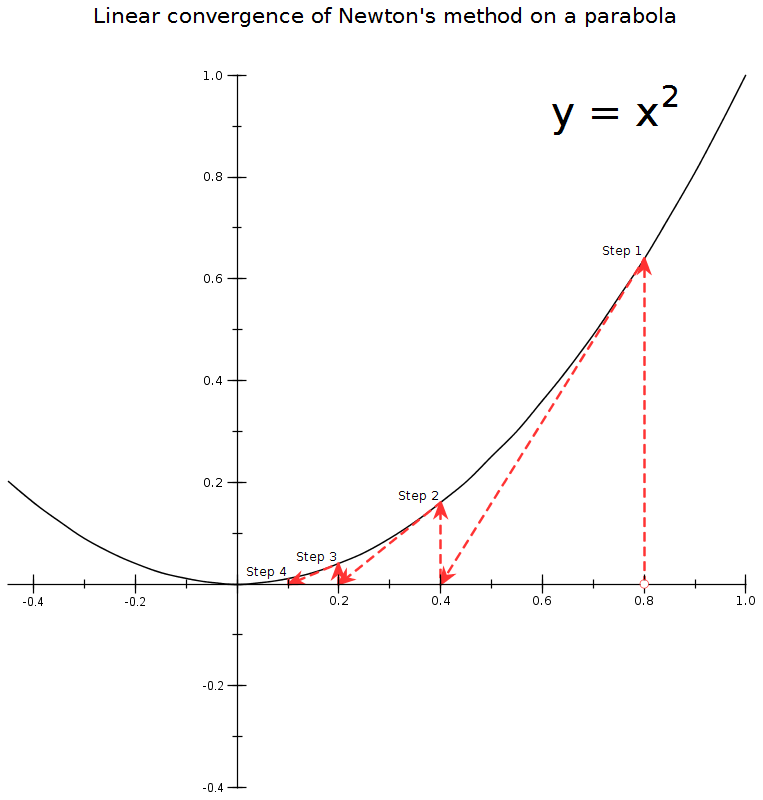 Identify the boundaries and logical coordinates of a graph, then trace data points and curves. Currently only manual digitization is supported, without automatic edge and vertex detection. However, most widely available automatic digitization programs are not as precise as manual visual digitization. The PED Editor is free. If you just want to run the program, either to digitize existing diagrams or create new ones in any format, you may do so without restriction. If you wish to sell, redistribute, or modifying the PED Editor, or to embed it in a larger work, you must consult the "About" section of the program's Help menu for license restrictions. NIST does not impose any restrictions on the use of the PED Editor or its source code beyond those that are necessary to comply with the terms of the included third-party libraries.